This beautiful clock will be an attractive addition to any office. 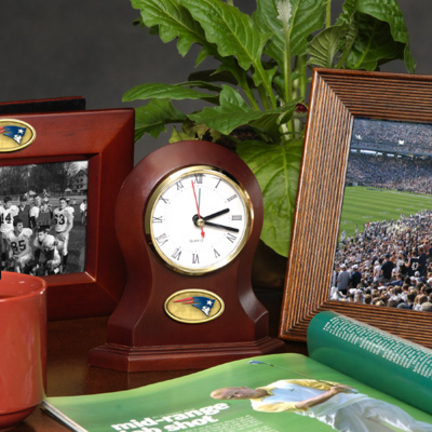 The wooden clock features Roman numerals and a New England Patriots logo. The clock uses a AA battery (not included). 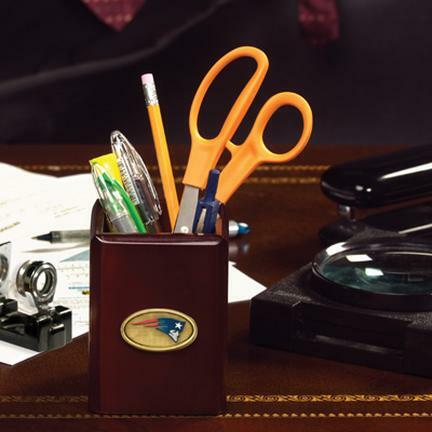 This attractive New England Patriots pen and pencil holder will be an elegant addition to any office desk.